Obituary for David C Stevens | L.E. Black, Phillips & Holden Funeral Home Inc.
YOUNGSTOWN – Services will be at noon today, Jan. 28, 2019, at the Christ Centered Church, 3300 Hudson Ave. in Youngstown, for Mr. David C. Stevens who departed this life on Wednesday, Jan. 23, 2019, at St. Elizabeth Hospital. Mr. Stevens was born Dec. 19, 1952, in Youngstown, a son of Willie D. Sr. and Louise Boykin Stevens. David graduated from East High School in 1972. Following graduation, he was drafted into the U.S. Army and served in Vietnam. He attended Youngstown State University, graduating with an Associate Degree in Electronics. David was employed at the Tamarkin Company, retiring after 20 years in 2014. He owned the S&S Construction Company. He attended the Christ Centered Church. David loved carpentry, music, playing his drums, traveling and spending time with family. He was an avid Cleveland Browns fan and enjoyed watching Ohio State and Youngstown State football. He leaves to cherish his memory, his loving wife, Martha Ann Carson; grandsons Raymond Ortiz, Davian and Ian Cruz; granddaughters Rayveen Ortiz, Robynn Carter and Trinity Stevens; great-grandson Carter Clark; great-granddaughters Cartier Valentin and Larayna Ortiz; his brothers, Robert (Janice) Stevens of Franklin, Tenn., Henry (Barbara) Stevens of Youngstown, and Edward (Mary) Stevens of Tampa, Fla.; his sister, Judy Stevens of Youngstown; stepson Curtis (Christa) Carson of Cincinnati; stepdaughters, Doreene Carson of Youngstown, Monica (André) Smith of Sylvania, Ohio; stepgrandchildren Vanessa Harris, Christopher Carson, André Smith Jr. and Cameron Carson; a dear friend, Mrs. Carol Donnelly; and a host of family and friends. 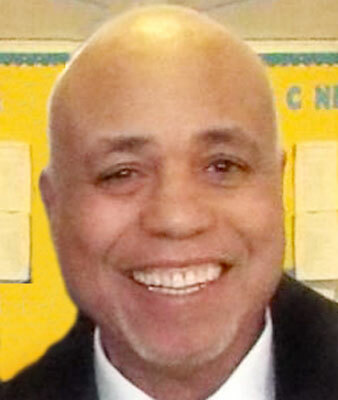 He was preceded in death by his parents; his daughter, Dana Ruth Stevens; and a brother, Willie Stevens Jr.
Friends may call one hour prior to the services, from 11 a.m. to noon, today at the church.